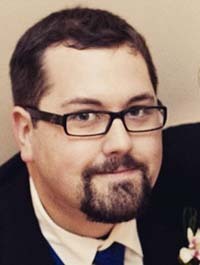 Ryan Matthew Pierson is a technical writer with a history in broadcasting and has worked in virtually every area of media production. He currently works as a technical writer for RocketTheme, a leading producer of templates and themes for WordPress, Joomla, phpBB, and Magento. Could you tell us a little about yourself – how you ended up in RocketTheme? I’m a technical writer with a background in broadcasting. Since 2007, I’ve been writing about gadgets and technology online for a number of sites, including LockerGnome, ReadWrite, and of course RocketTheme. RocketTheme came about by a lucky circumstance. I was helping to manage a mastermind group for business professionals and one of the members let me know about an opening RocketTheme had for someone to help out with documentation and I applied. 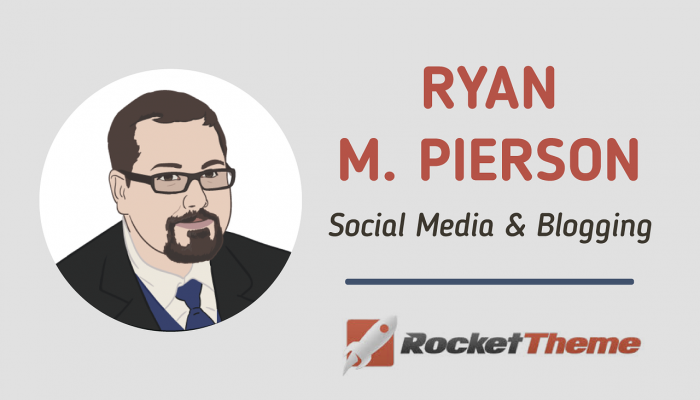 Andy Miller, RocketTheme’s founder and CEO, told me about the company’s goals to improve documentation and provide added value through blog and social media channels. Being a fan of theirs already, it was a great fit. I’ve been with RocketTheme ever since. What inspired you to leave your traditional career for the internet? Honestly, it was the time I spent working in radio and seeing the incredible success that folks like Leo Laporte and Chris Pirillo were having online that made me want to continue to pursue my passions for technology and media. It took a lot of work, too. I spent almost a decade working for free online doing Internet radio and writing content before I landed my first paid gig. When the finances worked out so I could go full time doing what I love, the decision was a no-brainer. What do you think the most important part of building a brand is? Being yourself. Honestly, there are so many people out there trying very hard to replicate something someone else did, and they’re not seeing results. Finding your voice and being true to yourself is the magic ingredient that will set you apart. There is also no such thing as a passive income online. Put in the work, keep your goals realistic, and be patient. Identify with your audience, and give your company a personality that reflects its core values. Stay true to them. Build a community around shared passions. If you own a comic book shop and you want to build a brand for it, then using your social network channels to discuss comics with people or at least to facilitate their conversation is a big plus. We are always looking for ways to provide value, separate from the sale. That value could be as simple as offering tips for speeding up your site on a blog, or giving our customers a place in the forum to find developers to help them with their next website. A great example of this is the Michelin tire company. It wanted to encourage people to drive more and explore the world. Doing this meant they would increase demand for cars, and also tires. So, they created the Michelin Guide which rated travel destinations and created the Michelin Star ratings system, a coveted symbol of success among restaurants. This guide had nothing to do with tires, but it did provide value and helped the brand grow. If you had to pick the top three reasons for the success of RocketTheme, what would they be? That is a tough question, because I can think of about twenty of them. The people that make up the RocketTheme team. From its founder, Andy Miller, to its development team and even the group of experienced moderators that help our customers in the forums. Everyone pitches in and puts in the work to ensure that we provide as much value as possible for our customers. Our philosophy on transparency and openness is another big reason. Our customers know our team and can contact us just about any time they want to. We have a support forum, chat rooms, our various blogs to keep people updated on our projects, newsletters, Twitter, Facebook, and more. As a third, it would be the fact that we give as much as we receive. The Gantry framework we build our Joomla and WordPress themes on is open source and totally free and accessible to anyone that wants to use it. Members of our team are also creating a new open source flat-file CMS called Grav, which is exploding in popularity right now. 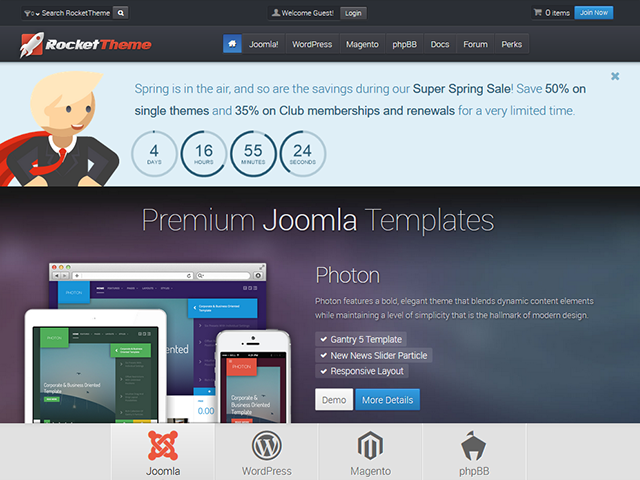 There are over 100 free plugins and dozens of free themes available just months after its 1.0 release. Being accessible is extremely important to us. We are always on the lookout for new ways to communicate with our audience and invite them to share their thoughts on our products and services. We recently overhauled our core theming framework, Gantry, and created Gantry 5. Gantry 5 is built on the latest Web technologies to ensure that everything that’s built on it is ready for the next generation of websites. We also designed it to be somewhat platform agnostic, enabling us to more easily apply it to other content management systems should there be demand. We’re also seeing the writing on the wall in a growing trend towards simpler flat-file content management systems. That’s why we’ve created Grav, a free and open source alternative to commercial flat-file content management systems. It’s our hope that soon we’ll add Grav to our list of platforms that we’ll be making themes for our customers to enjoy. We don’t expect you to spill any trade secrets (unless you want to, then by all means …), but what’s the next big thing for you? Right now we’re working on bringing Gantry 5 to Grav. Since they’re both built on the same design philosophy, and they share a lot of the same backing technologies, we believe it will be an excellent fit. This will also open the door for us to start creating premium themes for the platform, which our users have been looking forward to since the Grav project was first announced. Best advice I could give would be to set up a test server and play around in it as much as you can. The more you tinker with your site in this sandbox, the more you will understand how it works and how you can make it even better. You can also take advantage of communities on Facebook and Reddit that are there to help should you find yourself stuck on a problem, or to come up with new ideas you might not have thought on working solo. Which social media sites do you consider the most important? That depends on who your target is. 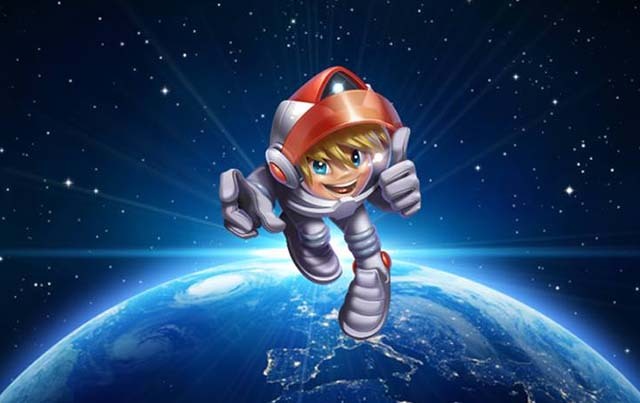 For RocketTheme, we spend a great deal of our time on Twitter and Facebook because these platform seem to be where our audience is spending the most time. However, businesses that are working with younger audiences, platforms like Instagram and Snapchat are really big right now for folks 25 and younger. We are only just starting to look at these networks to see how we could provide value to its users. In the end, providing value is key. No matter what network you spend your efforts on, you have to be able to provide some value that makes your content worth looking at. If your company works with a product or service you can explain in a compelling six-second story, then Vine might actually be worth looking at. Me personally? That it’s important not to confuse patience with hesitation. We sometimes hesitate to take risks in the hope that we will be better prepared for them tomorrow. It’s the folks that know when to take leaps and when to be patient that reap the best rewards. If you could get a guest post from anyone, living, dead, or mythological, who would you tap for it? Steve Jobs. Not because I’m an Apple fan (I’m writing this from my Windows desktop) but because he had an extraordinary eye for not just what’s important to customers, but for what will be important to them a year or two down the line. He had a unique perspective on typography and design that influenced entire generations of hardware and software. A blog post from him on what he believed would be the trends of tomorrow would have been fascinating.